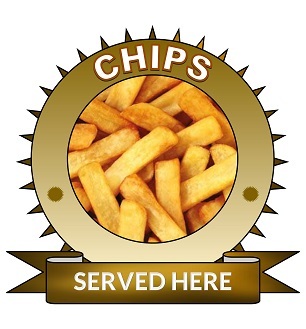 Large 25cm chips served here sticker. 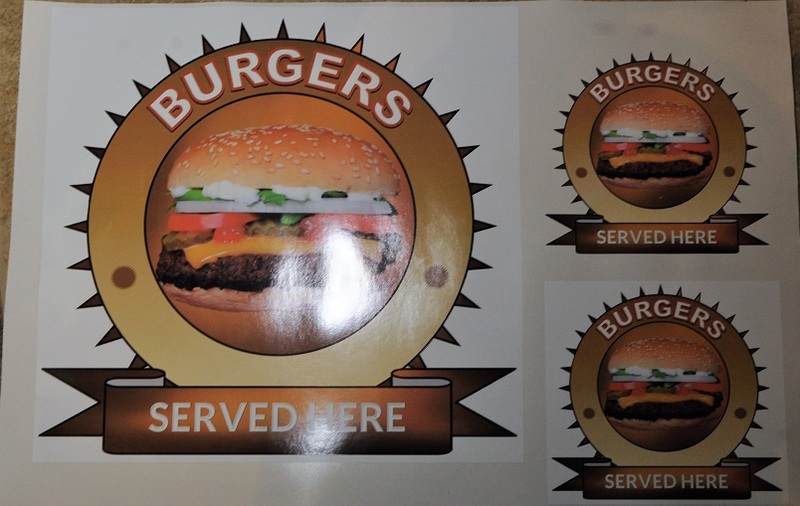 Set of burgers served here stickers for internal or external. Home Appliance decal stickers. Catering Stickers. Set of dogs welcome sticker, waterproof, internal/external. 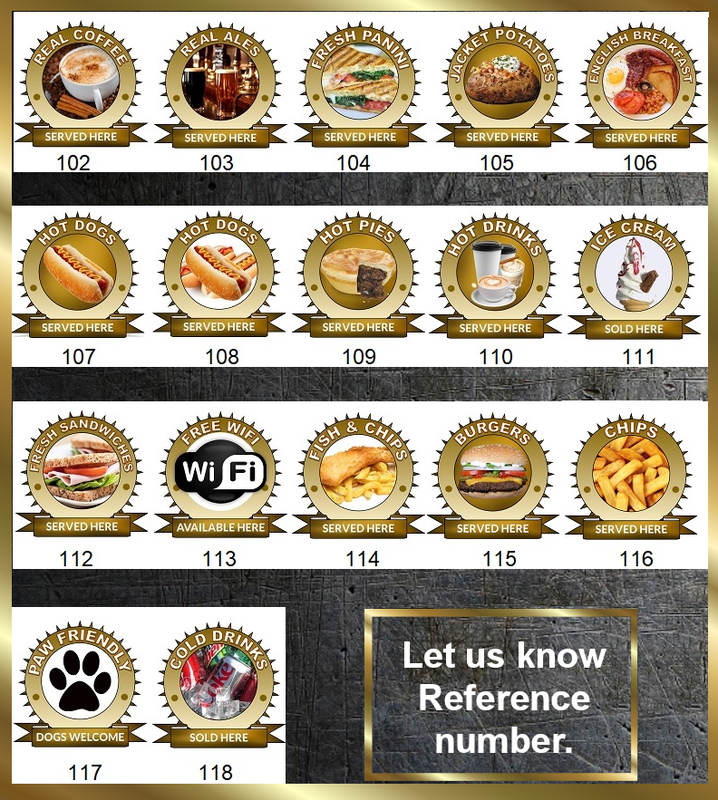 Set of dogs welcome stickers 1 x25cm 2x 12cm for internal or waterproof for external use, good for stand up boards etc. Quality solvent print stickers on vinyl.